According to the latest sigma study, global insured losses from natural catastrophes and man-made disasters were $45 billion in 2013, down from $81 billion in 2012. Of the 2013 insured losses, $37 billion were generated by natural catastrophes, with hail in Europe and floods in many regions being the main drivers. Global insured losses from catastrophes were $45 billion in 2013, down from $81bn in 2012, but loss of life was substantially up, with 26 000 deaths attributed to catastrophic events. Total economic losses from catastrophic events were $140 billion, down from $196 billion in 2012 and well below the 10-year average of $190 billion. 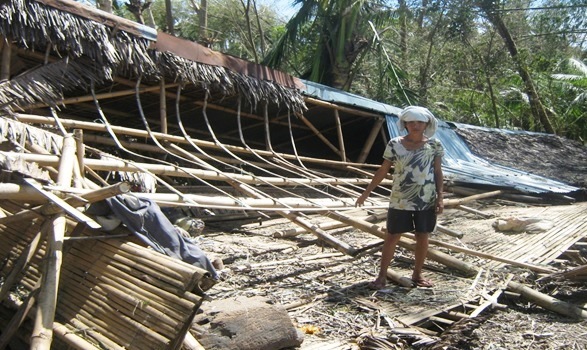 The number of victims in disaster events grew to around 26 000 in 2013 from 14 000 the previous year. Europe suffered the two most expensive natural disaster events in 2013. Massive flooding in central and eastern Europe in May/June after four days of heavy rain caused large-scale damage across Germany, the Czech Republic, Hungary and Poland. Total economic losses were $16.5 billion, and the insured loss was $4.1 billion. Not long after, in late July parts of Germany and France were hit, this time by severe hailstorms. The storms struck heavily populated areas in Germany, which, according to latest estimates, generated most of the entire insured loss total of $3.8 billion, the largest ever from a hail event, worldwide. Many regions around the world were hit by floods in 2013. The single largest loss-event in North America was extensive flooding in the city of Calgary, Alberta and surrounding area following six days of torrential rain. The economic loss was $4.7 billion and the insured loss was $1.9 billion. Floods also generated losses in Australia, Asia and South America. Swiss Re also included a special chapter on climate change in its latest report, which is widely acknowledged to be caused by rising greenhouse gas emissions. Industrialization and human activity has led to a significant increase in greenhouse gas emissions which, alongside natural variability, have pushed global temperatures higher.